Extract the entire archive to your rFactor 2 'main install' folder (not the 'Core' folder. I'm sorry I ever mentioned the word 'Core' but that's what the rFactor2 installer calls it). If done correctly you'll have the MotecPlugin.dll sitting beside the NetCommUtilPlugin.dll that comes with rF2. 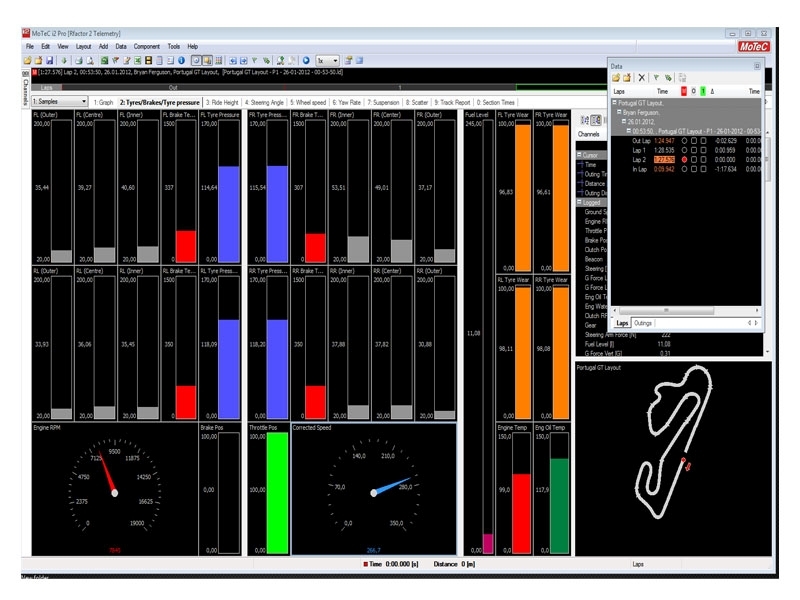 Once installed, load up rF2 (single or multiplayer) to the menu (no need to go to the track just yet), quit out, and if the plugin is running correctly you'll find a MotecPlugin.ini in your rF2 core folder. If you've set logging to be active on startup, as soon as you jump in the car you'll hear beeps indicating logging is active. 'Upwards beeps' = logging on. 'Downwards beeps' = logging off. Otherwise, hit Ctrl-M (or your own defined key) to switch logging on. Note: In the current version of rF2 a red plugin icon appears when you jump in the car; this is normal and doesn't mean anything has gone wrong. However, plugins are not active until this icon disappears again (~20 secs or so), so if you have logging active you won't get logged data for this period, and if you try to switch it on you won't be able to until the icon disappears. When logging is finished, either through switching it off or by exiting the car, you will hear the beeps indicating the log has finished being built (converted from the temp file) usually after a short pause. You can then open it up in i2Pro as you wish. - Fixed a bug that was causing corrupted LOG paths and game slowdowns. - Added extra weather info, but it's of limited use (see note in readme). Always, if upgrading from an older version it won't rewrite the existing MotecPlugin.ini - so you need to rename it or delete it, then start up rF2, to see any new .ini options. Hey I'm trying to install the Motec RF2 plugin, but it only registers in rf2 when it's in 32 bit folder and rf2 is put in 32 bit mode. I'm not sure why that is. Any help would be appreciated. I really like using MOTEC, and thank you very much for your work on this. 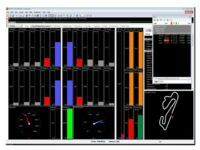 When I was running MOTEC in GTR, which came MOTEC ready, it included in the data the setup information. Springs, damper, etc. Is there any way to include that into the rFactor 2 pluging? It is not clear where to install the rF2 Motec Plugin archives, the explanation informs a "NetCommUtilPlugin.dll" that should exist in the right place, but I have not found it.